When you’re running a business, it’s important to have the hard facts: hardness and minerals in water cost businesses millions of dollars annually in maintenance, premature replacement of equipment, plumbing repairs and replacement of linens, towels and other laundry. With conditioned water, you’ll save on energy, plumbing repairs and general maintenance. You can extend the life of linens, fixtures and appliances. And you can save on chemicals, detergents, coffee and other beverages made from concentrate. Your customers will also enjoy softer towels, cleaner glassware and better-tasting water, coffee and beverages. To order products through our nationwide network of North Star Commercial Water Treatment Systems distributors, check our Distribution Partners section for a distributor near you! Or call us at 1-800-972-0135. 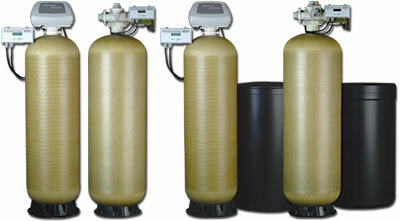 We also have solutions for cooling towers and industrial water treatment. For more information on this please visit ECI and EcoWater CHC.